Foody Delight : HUNGRY KYA????? After a long time, we wanted to try something different and at the same time we were not in the mood to go out .The only possible way our both wishes could come true is by surfing the internet. 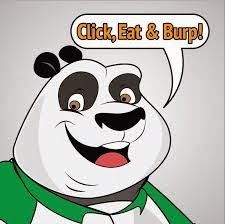 After many tries and some suggestions, we narrowed on the online food ordering website named as "FoodPanda.in" . The website is so well maintained that ordering food was certainly enjoyable. When we explored it in details, we found they had thousands of restaurants. This website looked so organized that you need to do just enter your city and location to get a customized menu list based upon (on a lazy day, I hoped they had auto detect feature for location). Then you will get list of restaurants in your near by places. Choose your restaurant and favorite dish and make the payment. Within a few minutes, your favorite food will be at your doorstep. 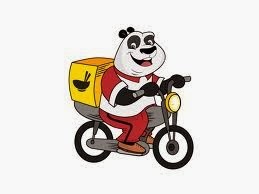 Food panda network restaurants have a very fast delivery system. Talking of Food Panda, they are one of the best online food ordering site carrying different cuisines such as North Indian, Mughlai, Chinese, South India. They also have many good options in dessert varieties and also in fast food items. The fastest way you can order the food from Foodpanda is just by downloading the free IOS and Android app. Some of the best part of this website are , the location where you get everyday deals. To receive these great offers from all over the top restaurants you need to sign up on the website. Another great option is that they have an online payment system. Citibank debit or credit cards can save upto 15%. This is an exclusive offer for Citibank card members only. masala and onion salad. This order had a special Bogo offer, it was buy 1, get 1 offer. We were lucky to have it. All thanks to Food Panda. The taste was truly awesome and it made me try a similar dish at home. Believe me friends when I tried to cook a similar thing on next day, the taste turned out to be very similar to the restaurant ordered chole baturi. Very soon I will be posting this recipe on my blog, so that you can try and enjoy the restaurant style Punjabi chole baturi.